Keep the beach house tidy with this nautical themed kitchen towel, featuring a printed pattern and embroidered accents. 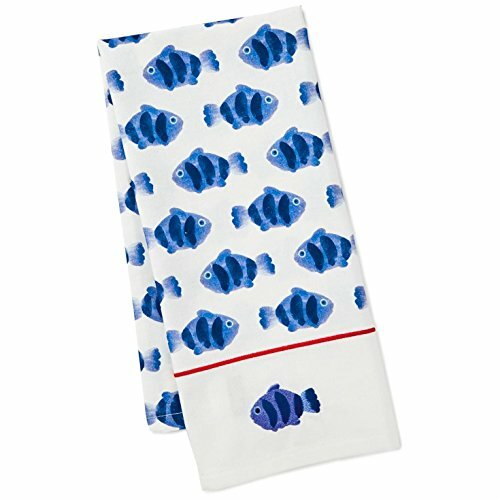 Invite the spirit of the sea to a kitchen near you with this nautical-themed tea towel, featuring a printed pattern of blue fish finished with embroidered accents on pure cotton. Makes a natural addition to your beach house or coastal cottage. Printed fabric with embroidered accents.